The land of ten thousand lakes, though I think they stopped counting now. Here, we grew up going camping for our family vacation. We didn’t travel to exotic places or even tour other states. We went to State Parks. We hiked, biked, swam, had campfires, ate s’mores and hot dogs over the fire, and played. We played from sunrise to sunset. During the day, I loved to walk to the lake and skip rocks and find the pretty ones. They were all pretty. My pockets full of what I thought were precious stones. In the evening, we told ghost stories and sang silly songs around the campfire. I was never quite ready to leave. When you grow up in a loud and constant city, it is nice to get away to someplace more peaceful, where the pace is slow and easy. It’s amazing to be able just stop moving, sit down, and smell the forest or hear the trickle of a stream. It is sometimes hard to get away or make plans and coordinate with others as you get older and everyone else has families of their own. One has to improvise. I look around the busy streets, but no one else is taking the time to appreciate where they are, because they are too focused on where they are going next. Stop lights that never seem to turn green quite as fast as you want them to. Someone else is always in your way. It’s always someone else’s problem. There’s never enough time and always one more thing to get done. So I make time, on a Sunday morning, to sip on some coffee and go for a little walk. I often go to my favorite place. Even if it is special to others and I am not alone, I still feel like it is mine. Tucked away on the other side of the river, they kept its cobbled stone sidewalks. The narrow path by the river with benches to sit and admire the beauty of nature in the middle of the city or maybe see the delicate balance of each intertwined. Two of my favorite cafés are waiting for me, like old friends. One of the cafés has live music, mostly in the evenings, but also Sunday for brunch. I walk in and say hello to the faces that change constantly yet this café and I remain. I order my coffee, with extra sugar and cream, and I sit to watch as the band plays swing music on stage and lively couples get up to dance. I smile at them, joyfully and longingly. My desires, they are well known by these walls and by this place. I often bring my pen and notebook to write my thoughts or any song lyrics that may pop into my head. Last spring, before it warmed up and the patio was full of paying customers, I would order a beer in the afternoon and sit out and play my guitar. I would stare out at the river and into the city and watch everyone walk by with their dogs, friends, partners, and kids. Some would turn to smile at me while I played and some did not even seem to realize I was there at all. Neither bothered me. I was in my own world of creation and admiration, anyway. Nature is the place I go for peace and the city is where I feel connected. Here, I have both of what I crave, of what I need. Even if I am alone, I am not alone. I haven’t always been the most patient of beings. When it came to love, I was always jumping in head first, without looking. When it came to rewards, I often favored the short-term over the long-term. As I am growing older, I have come to appreciate timing for what it is, instead of what it is not. In love, in work, and in pursuing my dreams. The topic on many people’s posts and on my mind, this past several months, has been perspective. Erika Kind and I were just discussing this. It has been my experience, that when my friends or family come to me for advice, I often can step back and give some good insight to their current situation. However, when it is me that is having a hard time with something, it is difficult to have a clear perspective. Most often this is the case because my emotions are involved. Erika discussed on her post You Are Stronger Than Your Ego, that it is important to not only forgive someone that may have hurt you, but also to be grateful for what that person taught you. Her article really blew my mind and took me a step further in evolving as a spirit, not just a person. This happened in perfect timing, because it was exactly what I needed to hear, at the right moment. I feel when we are ready to hear something this huge, it comes. There have been plenty of times where I could have heard this and scoffed, because I wasn’t ready. Right now, I am pursing my musical goals and dreams. I have written songs (lyrics and guitar) for the past ten to fifteen years, but it seemed like every attempt was stopped before I even really began. In my early twenties, I played a few small open mic nights and then joined another female artist as a duo. We ended up mostly playing for our friends and a few smaller gigs. We didn’t have the drive to keep going and we stopped having fun in the process. We weren’t ready to be serious. I tried again in my mid-twenties to just sing and a guy friend would play the guitar. We never seemed to be on the same page or agree to the same song choices. Eventually, that went nowhere also. Now, in my early thirties, I’ve decided to go solo. I hope someday I get the experience of collaborating, but right now I am doing it alone. I look around the music scene and see that teenagers are already playing open mic nights and starting their careers young. I have thought to myself that I am getting a very late “start” to my music career. But the God / Universe has perfect timing and I am learning this. I am beginning to get gigs and meet people in the industry and local music scene. It does take effort on my part, in getting myself out there, meeting people, writing songs, and well…showing up. I don’t know why it took me so long to believe in myself, but it did. So, here and now, in my thirties, I am just starting out and that is okay. That is part of my journey and I am learning to love it. I read an article on a Facebook post that a friend recently shared. It was about intuition and knowing. It was a long post, but I knew it was for me. So, I read the whole thing. It talked about how second guessing goes out the window, when you can learn to trust your own intuition (and God / Universe). You will just know, when it is right. That was so profound to me, as someone who has always had trouble with indecision. I didn’t trust myself. I didn’t trust my judgment. I had been really impulsive when I was younger and I confused this lack of decision with poor decision making skills. This article really hit home, when it talked about how listening to your intuition is the opposite of impulsion, because it takes patience. Sometimes, you won’t know right away, and so you wait. Waiting is so hard, isn’t it? Heck, I am impatient when waiting for a red stoplight to change, let alone a huge life decision! In the end, though, it is truly worth it. I don’t know what is going to happen in my life, but I am finally enjoying the journey. I am realizing that everything that has happened in my life, has taught me the lessons I needed to learn; and to become the person I am today and in each moment. What a treasure to find! I feel so blessed to be connected with spirit and with my own intuition. I am learning how to be a better listener and to wait if I need to wait or hold on just a little bit longer. I don’t have to compare myself with others or get jealous because someone else is more successful. I know that I am on my own journey and have my own timing. I am so thankful for every person in my life that was / is there to guide me, to teach me, to watch over me, and just be my friend. Love is the most powerful thing among us. It is a driving force that cannot be stopped. So if you are waiting for something to happen in your life, know that everything happens in perfect timing. Worrying is the only true waste of time. This doesn’t mean to do nothing; it just means to have a little faith that you are on the path you are meant to be on. It is so easy to get caught up in a storm. The winds are blowing, the snow is falling, the roads get icy, and the sky becomes a confusing, white haze. What do you do? Slow down and try to drive through it or stop, pull over and wait it out? Do you fear the winter storm or do you admire its beauty? The grass has turned brown, the trees have lost its leaves, and the once bright and colorful world has turned grey and lifeless. But then, something marvelous happens, the snow peacefully falls and covers it all. The sun glistens off the snow and you can see the individual snowflakes glisten. I recently sat in my car, at work, as the snow began to fall, and watched one by one as each snow flake landed on my window. Each snowflake was unique and majestic in its own way. I can’t remember the last time I watched the snow fall, so intently, that I was able to see the delicately detailed and intricate design of each one. From far away, the snow falling may appear as little, white, round balls falling from the sky, uniformly, and the same. But this is not the case; not one is the same. As I sat and thought about this amazing miracle, I thought about people and how when grouped together we can appear to be the same, but when looking closely we each have our own unique features, our own personality, and our own path. Why do people try to group each other as one? Why do so many people want to “fit in” and be like everyone else? Why, if I am placed into one group, can I not fit into another group? We fear being different and we fear the differences we see in others. Our egos feed off of feeling superior over one another. Why can’t we also sit in awe of our uniqueness and celebrate its beauty? A snowflake does not compare itself to the other snowflakes or try to exclude other snowflakes from its natural grouping as it falls. I think it is natural for humans to pick out similarities and differences and come together and that is okay, but why must we be exclusive to others? Our fight-or-flight response kicks in and we feel the need to defend our honor, but in reality, there is no real danger. The only enemy we are usually facing is ourselves, our ego. I think nature helps to remind us of how things may have been intended. I was grateful for this reminder that we are not groups, we are individuals. I think it is important when thinking this way to also treat people this way. We are not all the same. Just because one person in a certain group chooses to do something you do not agree with does not mean that everyone else is also going to be a threat. When I was young I was taught in church that we are all sinners and imperfect and that only God is perfect and that we can never be. But now that I am older, I am learning more about who I think God is, and I am realizing that it is not so. We are all perfect just as we are, because we are all created as such. Sometimes I catch myself going to open mic nights or performing with other singer/songwriters and I start comparing myself to them. My lyrics are better or their guitar skills are way more advanced, or why do they have more fans? I feel really silly later that I let these thoughts enter in my mind. A friend recently reminded me that we are all on our own journey and that where I am today is exactly where I am supposed to be. I know this to be true, but when those thoughts take over, it is difficult to remember and apply these truths when your ego is telling you lies. My ego says things like, “You aren’t good enough” and “they are making it and you are not.” Or “you will never get paid to play your music and “people want to hear covers not your songs.” How awful is that! Why do we listen to these lies? What lies are you telling yourself? How can you change your thoughts? Why do we allow these thoughts and fears to control us? Then another reminder came from a friend, she said, “You may not be where you want to be, but look how far you’ve come! You’ve got to celebrate your accomplishments and be proud of what you do have, instead of being hard on yourself for what you do not have.” It’s a funny and karmic thing when your friends are feeding you back all of the same advice that you have given them. So from one harsh critic to another, be gentle with yourself and be patient. You can’t accomplish everything overnight and those that do usually find it doesn’t last. You either fall as fast as you arrive or you want more and are never satisfied. So celebrate the now, be grateful for being here, and be happy with what you do have. My take home point is this: We are all wonderfully made, like delicate and ornate snowflakes and though we may look alike, none of us are the same, not one. We are all made beautiful and special in our own unique way. Cheesy or not, it is true. I forget that from time to time, so I thought I’d remind you as well. You are so extraordinary and you are perfect just as you are. So don’t be so hard on yourself. You are worthy of love and you are enough. This past fall, I went out to a group painting event by myself. It was a lot of fun, but at the end of the time, in my last touch up stroke, I added too much water and a single drop, ran down the entire canvas. It took off the paint and I wasn’t able to fix it. I realized how significant that was for me at the time. I had just gone through a breakup and was in the process of simply accepting myself and my life exactly as it is. So I did the same for this painting. I smiled for the picture while proudly holding my painting. I even hung it up in my room for display to say “I did this. It may not be perfect, but it came from me and I’m proud of painting it.” This was exactly the point. This year, so far has been about letting go. Letting go of being perfect, letting go of control, letting go of my past hurts or guilt and those relationships lost, and as I mentioned in my last post, letting go of who I think I’m supposed to be. This past Sunday, in church, a guest speaker was again touching this on this subject of letting go, but in a new light. She described a U shape. How one end is the letting go end and then you have the middle that is flat, and the other side of the U is for allowing good things to come to you or flow through you (however you want to look at it). I really liked this analogy. She said that after the letting go and before the coming in you have the middle, which is like a clean slate or a blank canvas. This thought almost brought me to tears. So I decided to look inward to explain why it evoked so much emotion. I knew it must have been the words I needed to hear. In life, it is often the case where you cannot go back, you can only move forward. That has always been a tough concept for me. For example, the times when you say things you didn’t really mean or didn’t say things you wanted to say or things you wish you had or had not done. This is why letting go is a huge process for me that I am currently tackling in more than one way. In fact, two weekends ago, I started a really big project. I have moved four times in the last four years. During this time, I have moved many boxes with me, without really going through anything. So I decided that part of letting go, also needed to be done in the physical world, as well as mentally. I want to let go of my garbage: all those assignments and papers I did in school, the receipts I thought I needed to hang on to, the love letters from my past relationships, the work forms I saved for taxes that are over 7 years old, etc. I knew it was going to be time consuming and even emotional. It had become really bad. I had boxes and boxes of papers and folders and well…junk. It was time to get rid of my junk. Besides recycling or shredding the papers, I donated four giant garbage bags full of items that were just miscellaneous or I did not have a purpose for. I was downstairs for three hours Friday night, three hours on Saturday evening, and about an hour on Sunday. I’m still not done. I have a few more totes to go through until my clutter is gone. One of the hardest ones, I am saving until last. It is photo albums and pictures of my “serious relationship” six years ago. I never look at it, I just didn’t have the heart to get rid of it and the love letters that accompanied them. My ex wrote me letters, gave me cards, and even left little notes in my lunch. I’ve never had anyone show their love for me in that way before. I felt really spoiled. I think I have been holding on to that standard though, expecting the same treatment from others, and being disappointed when it doesn’t happen. I guess I’m afraid that no one will love me like that again or that much. But I have to let go of those expectations and begin again with an open mind, a blank canvas. Once, I let go of this, of what I think I want, I believe the right person will come and be exactly what I need. Isn’t that the case for most things? We have this image in our minds of our perfect job, our perfect partner, our perfect house, and our perfect kids…but how realistic is that? Life doesn’t always go according to our plan and I believe it is important to be open-minded. It is okay to have desires and even standards, but one must be flexible as well and be open to what could be. Sometimes, we don’t even realize that what we want isn’t the same as what is best for us in the moment. So I begin again with a blank canvas, ready to be painted. I think we can relate this analogy to many things in our life. How amazing is it to think that you can start a new painting, start a new life, start a new thought, and let go of the past and old thinking. This is such a scary, yet exhilarating thing for me. I am already feeling lighter in my life, my mind, and my basement, of course. What in your life, do you not need? What is it that no longer serves you? Is there some aspect that you would like in your life to begin again with a clean canvas, so you can paint whatever picture you want and allow the things that you choose into your life, without all the clutter? 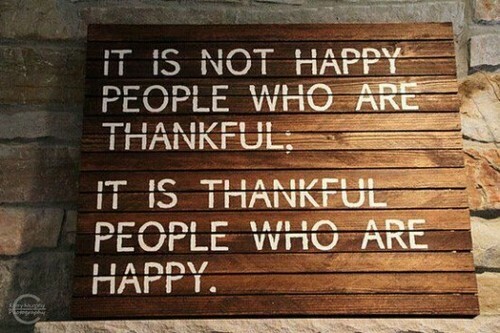 De-clutter, renew, and be thankful. I think that is the art of starting over. During the clean canvas time period, it is so important to just be grateful and really appreciate the moment of how amazing it is, to be able to let go of all the “garbage”, so you can let more of the good come into your life. This year, I am not making any “New Year Resolutions”. Instead, I am adopting the practice of visioning. I had heard of visualization, but I had not tried visioning. I was able to experience this first-hand, when I attended a 2016 Visioning Workshop held at my church (Unity Minneapolis), this past Sunday. We were all asked to write down a series of questions and then individually, go within, to find the answer for each of these questions. The main speaker emphasized that we may come up with a word, a phrase, or maybe even just a feeling, but to just write it down and not question it. That was my favorite part of this exercise; to just let it come out and not worry about what it means or try to make sense of it. It was a relief not to sit there and analyze or judge what I wrote, since this is typically what I do on a regular basis. I meditated on each question and when an answer came to me, I wrote it down. I did not expect it to be that simple, but when you silence your thoughts and just listen, answers do come. This practice of visioning was teaching me to trust my own intuition, as well as God / Universe. I was then asked to follow up this vision statement for the year with statements about how I will do this or what it will look like. This resulted in me writing my own affirmations. How cool! I did not know going into the workshop that this would be the result. I thought my vision statement would be more along the lines of: “Play more live music gigs” or “Figure out my career goals” or “Meet the love of my life” or “Buy a house”. Instead, I am letting go of everything I was told or think I am supposed to be. I am not focusing on things to do or accomplish, but rather allowing myself to “just be”. Looking back, one of the most profound things I wrote, that really struck a chord, was the answer to question number 5: “What must you give up to accomplish your vision for 2016?”. I started writing down words like hurt, fear, anger, etc. and then I wrote down the word control. I had to hold back tears. I was mostly shocked that I wrote it, but also filled with intense emotion. You see, when we try to do everything ourselves and do not trust God or the Universe, we are still trying to have complete control. The truth is, we do not have control. When we try to have control over circumstances, events, or other people, life becomes rigid and frustrating. I don’t want to live my life that way. I don’t want to have control over other people or circumstances. I am finally ready to let go. I returned to the class and when asked if anyone wanted to share, I volunteered. Still a little bewildered, I explained how I had found the meditation room and began to write what my vision would look like. Tears began streaming down my cheeks as I said “I looked at my list and my vision for 2016 and I couldn’t believe it! But I realized that I am already doing these things or at least working on them! I’M ON THE PATH!” I have felt this heavy burden, as though this past year, I was just treading water, trying to stay afloat. I never stopped to realize that I was in a boat, rowing, and I was on my way. If I had chosen to let go, instead of battling through everything, I would have realized that everything was in place. Everything I need, is already there. It is the beginning of the new year, and I’m on the path! I never thought it would be so satisfying to feel like this. I didn’t discover that “I’ve arrived”, only that I’m doing what I need to be doing. I’m right where I need to be. That was such a relief, because I feel like I’m always doing so much, just to find that I am way off base. In most of my relationships, I often end up taking the blame as though I am the only one who needs to change. I often feel like I am getting it wrong, just to learn yet another lesson that life has to teach me. What an awful way to live and feel! But that’s just it…I don’t have to feel that way! I can let go! So maybe I don’t know what I want to do for a career, and I don’t have a life partner, or own a house, etc. But, are all of those things really going to make me happy anyway? If I am on the path to loving myself unconditionally and I am on the path of letting go of control and I am on the path to learning how to have faith that everything is exactly as it should be, then I believe my vision will lead me to something far greater than any “thing” could provide; inner peace. How exciting! I know, I am not there yet. But I’m on the path. I just can’t stop saying it! It doesn’t end there, though. Like anything else, visioning is a daily practice. I have decided to take 5 minutes, out of every day, to read my 2016 Vision Statement and my personal affirmations, that accompany my vision. I encourage you, not to make new year’s resolutions that will cease within the first two weeks of January, but instead to create a vision for your year that will last a lifetime. Really sit and listen, meditate, and ask yourself what that would look like. How would you get there? What word would describe the theme of 2016? What would you need to give up to achieve this vision? What would you need to embrace? Just by creating a 2016 vision, I already feel free from control and burden and relief just from knowing, I am on the path. I hope you will too. I don’t believe that I am alone with this message, that is why I wanted to share it. I believe we are all on the path, but until we take a moment to stop and listen, we will never know what is available to us, right now. Let’s make 2016 a year to let go and have faith in what is. How else will we know, what could be? A true story: A homeless man was sitting on the curb in front of a gas station entrance, with his girlfriend. He was taking a break from waving a cardboard sign on the corner, asking for help from strangers. A man came out of the gas station, seeing the sign, and asked the homeless man if he needed anything: blankets, cigarettes, food, etc. The homeless man and his girlfriend agreed to cigarettes and a couple of energy drinks. The man came out and handed the requested items he had just purchased to the homeless man and his girlfriend. He then asked again if there was anything else they needed? Before they had a chance to answer, he told them to wait there and went back into the gas station. He returned a few minutes later with a rolled up wad of cash and handed it to the homeless man and walked away. The homeless man didn’t wait long before he opened up his hand to count the money. He was given one-hundred dollars! The homeless man ran up to this generous stranger and with tears in his eyes hugged and thanked the man for his kindness. He paused and said, “Most people who give me money ask me not to spend it on drugs or alcohol…But I have to be honest, I will probably use it to buy alcohol.” The man replied, “Use it for whatever you want. My friends and I are about to go the bar and do the same thing!” The homeless man was taken back. This had never happened before. Anytime anyone had given him money, there was always a stipulation of how to use the money. This act was one of kindness and non-judgment. The stranger gave his money with “no strings” attached and no expectations. Upon hearing this story, I wondered if I could do the same. We may all think, “Oh, I could do that”. But the truth is, we are often judgmental. I am definitely one of those people that would hope a homeless person would use the money I give for food, shelter, or clothing (not drugs or booze). We give because it feels good and we want to help others, do we not? Yet, we believe and are often told by others that if we give booze to a drunk, we are a part of the problem and enabling their behavior. But even if this is true, we are making choices based on our own morals and standards, not theirs. When we donate money, we usually choose an organization that we believe in or want to support (i.e. animals, youth, homeless, the poor, political campaigns, local businesses, etc.). Do you think you could give your money away to someone without caring how it is used? We give to what we deem as worthy. So this thought led to another. In the same way, could we love others without expectations? You see, we often do love with expectations. We love with the expectation that we are loved in return. We love with expectations that they will play a certain role in our lives. Can we love others with no strings attached? You may want to jump in and say yes; of course I can, but think about it for a moment. Just as we choose what organization to donate our money to, we also choose the people we want in our lives (or don’t want). When we look for traits in friends, we look for others that add to our lives, people that are generous, listen to us, help us when we need it, are thoughtful, fun to be around, and often that have a similar belief system. What if we loved others not for who they are (social status, religious affiliation, similar interests, etc.) or what they provide in our lives or the roles they play, but simply for the sake of love? Some parents disown their children because they are gay or lesbian or transsexual, etc. Some siblings get into an argument and stop talking to one another. Some friends stop making an effort, lose touch, or decide that someone is not behaving as a friend anymore and they drop them from their lives. My purpose is not to judge or condemn these behaviors. I am simply providing examples of ways that some of us love with “strings attached”. We may not say it out loud or perhaps we are not even aware of our own thoughts. The next few examples are that of a parent to their child, but are applicable to other relationships as well. One poem that came to mind, while exploring this topic, was the “Do It Anyway” poem, by Mother Theresa. I don’t know if I can be like Mother Theresa or like Jesus who loved people “anyway”, and not because of the role they played, who they were, or what they did; but just because, for love’s sake, with no attachments. This year for Christmas, I splurged and bought gifts for many people in my family as well as several friends. I felt that I have much to be grateful for and appreciative of and wanted to share that with my loved ones. While I enjoy the idea of also being spoiled with gifts, I am someone that values time much more than gifts. If I love someone, I crave their attention; and I love it even more, when I don’t have to share it with others. Sometimes, I get that feeling of loneliness when I am in a crowd of people, even if it is friends or family. But I don’t get that when I am with one person, that I love, and I am receiving their undivided attention. To me, that time means the same as saying, “you are important” and “I value you”. I think, lately, I have been feeling selfish for wanting that, but I am realizing that there is nothing wrong with wanting to spend actual quality time with people I care about. “Time is money,” is a phrase I have heard often. This means that I am not the only person that believes in the idea that time is a valuable thing. We value and even protect our time. We make time for work, for appointments, practicing a hobby, time to eat, to sleep, and to see our loved ones. If we spend an afternoon watching TV or sleeping, some may say it was a “waste of time” and they start listing all of the things they could have gotten done instead. We feel guilty when we don’t feel we are “using our time” productively. When people die or pass away some may say, “They were out of time” or “I wish I had more time with them”. Isn’t it ironic, that these days, when we are “spending time together”, we are on our cell phones or watching TV or some other form of distraction. It is rare to see two people talking without interruption or distraction of some kind. For me, when I was with my partner, I now look back and cherish the days we spent together “doing nothing”. When we stopped scheduling so many things, we just spent the day together walking to the park or cuddling in bed. We even “lost track of time”. When a couple starts having children, they may say they no longer get any “quality time” with each other. In reality, time is actually irrelevant. What I am really trying to say, is that we should give each other more undivided attention. Just simply being present with one another is a gift, especially these days. Part of being present with one another is listening. Listening is a gift too. I do not mean hearing while distracted and thinking our own thoughts, or waiting for our turn to talk. I mean to really listen and try to understand what they are saying. So as this year ends and next year begins, I want to give the gift of time. I want to volunteer and share my time with others that need it. I want to give my friends and family more undivided attention and really listen to what they are saying. I want to give myself time: Alone time. Time set aside for me, where I can rest and rejuvenate. Time to explore life and figure out what I am meant to do or maybe just what I enjoy doing and being okay with that. Time to listen to nature and what the Universe has to share with me. Time to have fun: To laugh hysterically, sing loudly, dance wildly, and not worry so much (about time). Wherever you are and whatever your view of time is, consider the fact that there are people who care about you and would love the gift of your time. Even if it were only a few minutes of your time each day, this could be a world of difference to someone. We don’t always remember to say it, but we really do value and appreciate the time we share with others. After all, “time is precious”. Why does it feel so difficult to make a decision sometimes? What is it that stops us or paralyzes us from making one choice over another? This is something that I often struggle with. I want to dig in deeper and attempt to better understand the reasons why some of us may have a harder time with making decisions. Then I would like to uncover some solutions that could help with being a more confident and effective decision-maker. One of the life altering decisions that has me feeling paralyzed is the big question of, “What do I want to do with my life?”. I am not one of those people that grew up knowing who I was and what I was meant to do. In high school I played sports and hung out with my friends. I was not thinking of the future or goals. Even after giving it more thought I felt stuck between what I wanted to do and what I ought to do, between my dreams and what was more practical. At the later age of 33, I am still baffled by this question. I often wonder, “How does everyone else have it all figured out, but me?” or “Why don’t I know what I want to do?”. What am I so afraid of by making a decision? What will that mean for me? I realized quickly, I am not alone, with this way of thinking. After reading many online articles, I discovered that many people have a difficult time making decisions due to the fear of failure. We are afraid to make the wrong decision. To take it a step further, many people (including myself) tend to have the habit of catastrophicizing, where you think of the worst possible things that could go wrong. This means, in the present moment, there are no real problems. We make them up in our minds, ahead of time, as excuses for why we cannot or should not do something. Part of our fear of failure has to do with our fear of criticism. Though we are often our own worst critic, we care far too much about what other people think. This is something I have felt from a young age. “What will they say about me if I choose the path less traveled? Will I be more respected if I choose this profession over that one? Will I impress my friends if I am successful? Will they value me more because I have this skill? Will my partner think I am special? Will my parents be proud of me?” These are all questions that (subconsciously or consciously) go through my mind when trying to make a decision about my future career. Why do I care so much about what others think of me? Why do any of us care what others think is special or what their version of success is? We grow up with our parents telling us what is right or wrong, our teachers telling us what to think, and our friends (in addition to the media) telling us what is cool or uncool and how to act. My older siblings constantly made fun of me; and reminded me often that what I thought was wrong, because I was too young or not smart enough. So all of these influences caused me to be a very insecure person, where I not only doubted my own decision-making ability but I thought I needed others’ approval, as well. I became the person that asked everyone I knew what they thought before making a decision for myself. I thought about the decision a lot, but in the end I trusted others more than myself. Now, I would like to switch gears. How can we change our thoughts? I have recently read The Power of Now by Eckhart Tolle. According to Tolle, those thoughts of self-doubt and fear of rejection is due to the “voice in your head” (a.k.a. our ego). The voice that tells you, you are not good enough and criticizes you constantly. This is the same voice you have been listening to since childhood. You believe it and listen to it. How can you begin to trust yourself if the voice in your head or ego is constantly telling you, you will fail? At the end of the day, you are the only one who really has to be okay with the choices you have made. In The Power of Now, Tolle talks about how living in the now and quieting your mind (your voice) can help you be more aware and present. You see, the voice in your head is in control when you listen to the fears, the doubts, the criticism, and the shame. But if you are in the present moment, you are in control, your senses are heightened and you are making the calls, not your voice (ego). One simple way that I am learning to quiet the voice or ego, is a form of mindfulness. I sit somewhere quiet and undisturbed, I breathe deeply, and I check in with my body and my senses. What do I hear? What do I feel? When I take my attention off of my thoughts and into the present, the voice is gone and I am only aware of what is now. That is when the answers come, in silence. Then you can learn to trust what you feel instead of what your voice says. Trust your own intuition, instead of caring so much about what other people will think. I’ve learned the hard way that by asking so many people you will get way too many answers. Make a choice in the moment and if it does not end up pleasing to you, then make another choice. Sometimes I have noticed that just by making a decision, I feel much better mentally, than before when I am feeling unsure. Sometimes, it is the fear of uncertainty that makes us worry, as mentioned above. Trust yourself and your past experiences that guide your intuition. I am someone that values “walking the talk”, so I decided to go back to college at age 33 to earn a bachelor’s degree. I am starting out taking two classes and then I will declare my major. One class is Creative Writing and the other is Psychology. They are both introductory classes and I hope to get a better feel for which profession draws me in. Or maybe I’ll choose both! 🙂 After all, we can always make another choice in each moment. If we are just able to stay present enough to do so, I think we will realize that making a decision is not as scary as the power we once gave it. Rest, is the last thing I thought I would write about, this week. Lately, I have been filling my schedule with appointments, open mic nights, and setting up dates with friends and family. Last weekend, for the first time, I didn’t have plans Saturday and Sunday. I did work Saturday, so I could have Friday off to celebrate Thanksgiving a day later, with my family, who was in town. I came home from work, surprisingly full of energy and in high spirits. I sat down, at the kitchen table, looked around, and realized I had nothing to do. This was not a common occurrence for me. At first, my brain panicked. I thought to myself, “It is the weekend, I ought to do something!” But when I began to list things that I could do, one by one, I declined them all. I moved to the couch to pet my (adorable and cuddly) cat, Daisy, and just sat there in silence. So much of my life, I made plans to stay busy; and did things that I thought I needed, in order to be happy. I plan my to-do list, things like going to get groceries or going to the gym (something to be accomplished). I plan creative activities to keep my imagination active (writing, playing music, games, etc.). I plan time for reading, so I am always learning; and I plan time for my relationships (friends, family, partner, etc.). Are these things bad or wrong? No; of course not. However, I do not need all of these things or activities to feel happy. This was a huge revelation for me. I was at home, doing nothing, and I felt great! I had tons of energy, and naturally thought that because of this excess energy, I should make plans with a loved one or should get something done. For the first time, I had a weekend where I did stuff, but there was nothing I had to do. I just sat still and felt my own body’s reaction to each thing and gauged by that reaction what I wanted. It felt good. It was peaceful. It was stress-free. I did not have ridiculous expectations of things to get done or people to see. I allowed myself to just be. Winter, as much as some of us dread this season, is the perfect time for rest. The days get shorter and so naturally our bodies feel tired, earlier than usual. Winter, is a time to rest and a time to reflect. Haven’t you noticed how everything seems to slow down during the winter? The rain turns to snow and suddenly the pace at which it falls slows, softens, and becomes almost magical. The traffic, though sometimes frustrating, becomes slower and people are more careful with their driving (hopefully). People often choose to stay in with their families rather than go out. I’m not saying to completely stop your life or stay in and watch Netflix every night, but winter is a nice excuse to give yourselves a break. 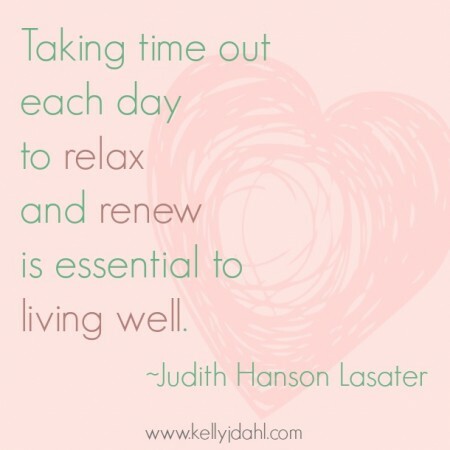 Allow yourself rest and rejuvenation. Our bodies and our minds need to time to heal, time to renew. People seem to associate productivity with success. It is the common belief that if we are busy and constantly doing something, then we will accomplish more. While it is good to have goals, this is not necessarily true. People even sacrifice their sleep because they pass it off as a waste of time or believe it will interfere with their productivity. Meanwhile, others are skipping meals and think that as long as they eat one meal or replace it with energy drinks, they will get more accomplished. Unfortunately, the opposite is true. If we are not letting our bodies and minds rest, we are not functioning at full capacity; therefore, we are actually getting less done in a longer amount of time. I know when I get sleep and proper nutrition, I feel fresh and alert. Thoughts and ideas come to me faster, my body feels full of energy and less sore, and even my attitude is improved and ready to take on more. I have a lot of ideas brewing right now. I believe I have about four or five saved drafts for all of the various topics I want to explore with you. As I racked my brain for which topic really struck a chord this week, I remembered tomorrow is a holiday. This being said, I want to take a break and instead say thank you. Thank you, for being on WordPress and taking time to read my blog and also for having your own blogs. Thank you, for taking risks and sharing yourself and your thoughts with the world. It is not easy to put yourself out there and be vulnerable. Keep up the good work and enjoy your holiday. I hope you get to spend this time with loved ones or maybe even in solitude, appreciating what you have and being grateful that you are alive. Take care and hopefully, I will have hashed out my ideas into a new post by next week.